Silicone and metal straws not only show the world that you are in fact an individual who cares about the environment, but they also #SaveTheTurtles. The only issue: it’s a little awkward to carry around a random straw...especially if you’re like me and tend to only carry a wallet and your keys. The Ultimate Straw is the solution to this dilemma. The Ultimate Straw is *pauses* collapsible *cue fireworks* (actually, fireworks aren’t in my budget apparently...contact my boss with the complaints). There are five colors to choose from, and it’s dishwasher safe! The brainchild of a surfing trip, 4Ocean bracelets were created to help combat the proliferation of plastic and waste threatening the ocean. Made from recycled materials, the purchase of each and every single bracelet goes toward the removal of ONE pound of trash from the ocean. In less than two years since launching, 4Ocean has worked to remove 1,275,161 pounds of trash from the oceans...crazy stuff. Each bracelet supports a different focused cause, too! The September bracelet supported marine nurseries, there is a black bracelet for all the shark lovers out there, and a green bracelet if you’re all about being ready to #SaveTheTurtles. As someone who personally owns and loves 4Ocean bracelets, I can tell you they are 100% worth their price. Not only are they cute and fashionable, but they’re supporting a fin-tastic cause! Ever had the desire to eat your tableware? Well, with biotrem’s line of wheat bran products, your dream can come true. Not only are the products created with natural and raw materials (wheat bran and water), but the technology needed to create them involves high pressures and high temperatures. These products are not only eco-friendly in the manufacturing stage, they are also fully biodegradable in 30 days! From plates and bowls to forks and knives, they’ve got you covered! Ever jumped on a plastic water bottle as a child? Thanks to MacRebur, you can now drive on those water bottles. MacRebur takes the disposable waste that doesn’t break down, mixes it with asphalt and creates a more durable and long lasting road. If you’re like me and hate potholes, then MacRebur’s stronger and longer lasting asphalt is the solution. We’re all constantly on our electronic devices anyway, so why not make a quick switch and really make a difference? By switching to Ecosia (or by adding the extension to Google Chrome), every time you search something on the web, you’re helping plant a tree. Ecosia uses the money generated through ads to plant trees. Such an easy but effective way to help out! Who doesn’t love LUSH? The excitement of walking into a store, testing the products and most of all how awesome it feels to carry one of their products out the door...it’s incomparable. LUSH is just so luxurious…but did you ever realize how ecofriendly LUSH is, too? Let’s discuss their shampoo bars. No bottle, no cap, no label. Just pure hair care goodness. These bars may look tiny, but they can outlast two to three bottles of shampoo...uhm excuse me? Let me backup...one little bar will last up to 80 hair washes. Not only are they eco-friendly and cost effective, but they’re also pumped full of fresh ingredients and oils that make every day a good hair day. This one is for all the gym buffs out there. Eco Gym is literally powered by your energy...and the sun’s. The first ever (and currently the only) 24-hour health club powered by human kinetic and solar energy. The more you work out, the lower your personal monthly fee, and the more energy the gym has to run on. Talk about a great partnership! According to their website, “There are over 7 billion people in the world. 99% of those people brush their teeth with a standard plastic toothbrush that will eventually end up in landfills and our oceans.” I hadn’t really ever thought about how environmentally damaging a toothbrush could be. The Giving Brush is made from organically grown bamboo (meaning no pesticides) and coated in a natural wax so it stays silky and dry. 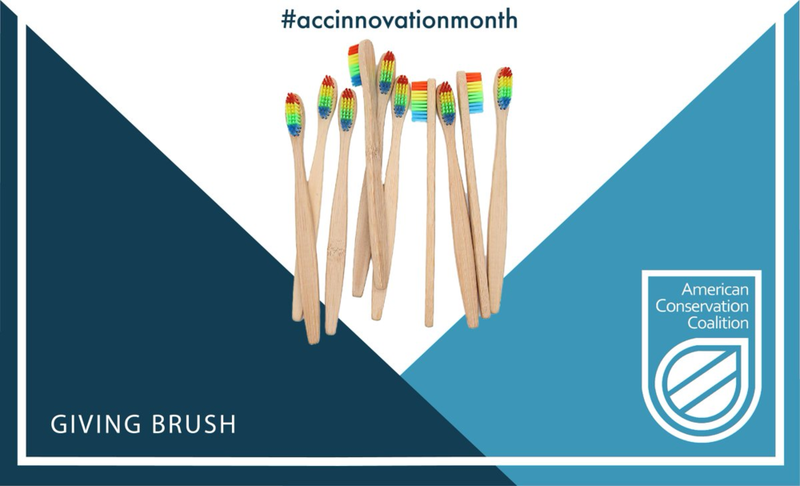 Bamboo is antimicrobial and one of the fastest growing plants on the planet; this means their toothbrushes are not only health-conscious but eco-conscious as well! Also, for any Vegans out there...the Giving Brush is vegan! 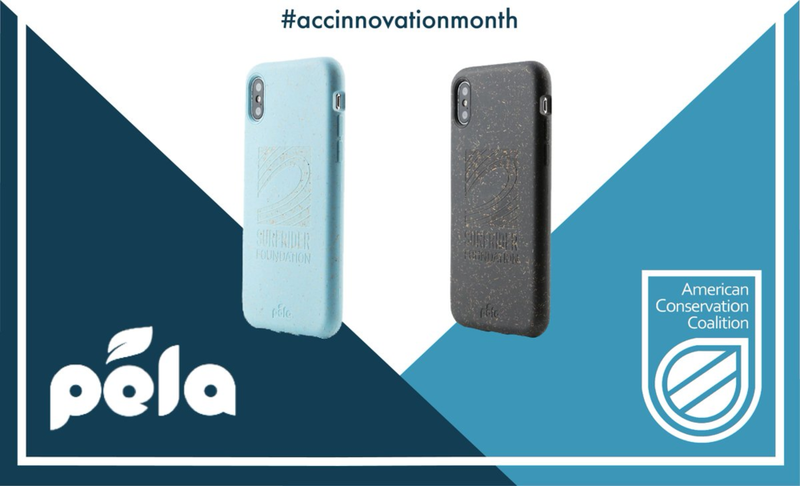 #SustainablyChic is the correct campaign term for the Pela Case, because not only are they cute, they’re also “flastic” meaning they are 100% compostable. “Flastic” is made with a starch-based biopolymer and flax straw “waste” for added durability. This means the Pela Case is free from BPA, lead, cadmium and phthalates (I had no idea what half of those were, but after a quick Ecosia search [shameless, I’m shameless] I’m highly concerned about what is in my current phone case). Not only are Pela Cases cute and environmentally friendly, but they are sturdy as well, so no broken iPhones here. Have you ever stopped to think about how much packaging is involved in our daily lives? It’s highly concerning. *Insert drum roll* (Wait, is that not part of the budget either?) Cue Trash is for Tossers’ package free, zero waste shop. They ship their products 100% plastic free, and you can buy a vast majority of your needs online through their store. Argonne has invented a reusable sponge that soaks up oil. The Oleo Sponge, to clarify, is actually a foam that is reusable and can pull spilled oil from the entire water column as opposed to just the surface. This sponge would be revolutionary in oil spills, as well as in routine clean ups of harbors and ports. Stop for a moment and think about the last Amazon package you received. For me it was a pack of twelve pens (yes I ordered pens online...judge me). In an excessively large box for a small pack of pens, was countless pieces of that plastic bubble wrap (the kind you can’t pop which I’m still bitter about). Anyway, Limeloop is a sustainable shipping idea, that saves about 10 trees that the normal shipping method would destroy. Basically, the consumer receives the package, they cut the security tie, remove the product and mailing zipper. They then zip up the shipper, fold it in half and close the snap buttons. The consumer would then flip the shipper, replace the outer mailing label with the return label, and ship it back. Minimum waste and no more random bulky cardboard boxes kicking around your house. Win-Win. LOLIWARE created the first and only edible disposable cup and have now brought out an edible disposable straw (#SaveTheTurtles). LOLIWARE is 100% plastic-free, gluten-free, gelatin-free, BPA-free, non-GMO, all natural, non-toxic, safe, and FDA approved. Made from seaweed, organic sweeteners and flavors derived from fruits and vegetables, it’s so natural you can eat it. Parley is a company dedicated to ending the plastic pollution problem. No plastic bags, no microbeads, and hopefully soon enough, no new plastic. Their goal is to intercept any plastic before it enters the ocean! Adidas is a founding member of Parley, and has made it a goal for their company to begin phasing out the use of new plastic. The Ultraboost Parley is a running shoe that is made with Parley Ocean Plastic, which is made of upcycled waste from beaches and coastal communities that would normally find its way into our oceans. IMPACT Bioenergy takes food scraps and converts them into bioenergy. Their prefabricated bioenergy units help businesses and communities lessen their environmental footprint, while also helping their pocketbooks by reducing the cost of energy.